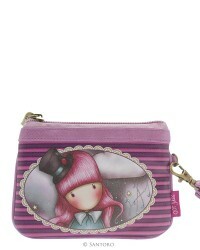 gorjuss Protect your pennies in this pretty wrist purse which features the beautiful The Dreamer in full length on the front and in captivating close up on the reverse. gorjuss Open the pastel pink zip by the gold heart shaped zip pull to find your money. 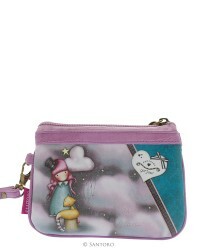 gorjuss Not only is the purse coated it also has a handy wrist strap … the ultimate accessory for your wrist! gorjuss Approx. Size: 14 cm wide, 10 cm high and 1 cm thick.